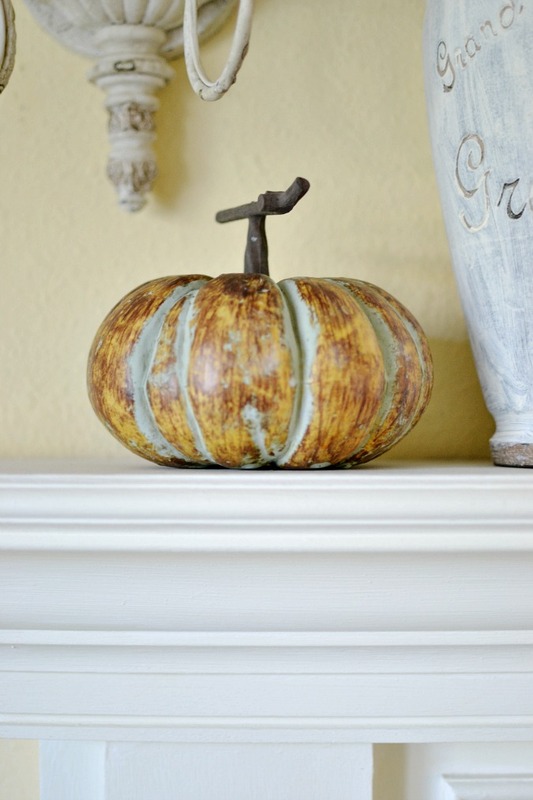 Ok, so I don’t know for sure that this is THE most simple fall mantel ever. 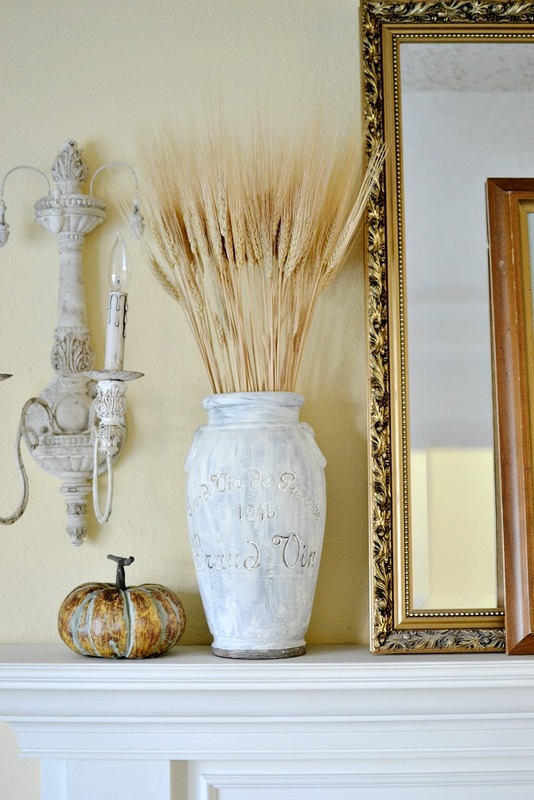 But I do know for sure that it is MY most simple fall mantel ever. These days, those simple little pleasures seem to mean more to me than ever and I’m finding that this sentiment is flowing over into my decorating. It’s a funny thing. Because of the whole writing a book thing and the whole being a busy wife and mom thing and all of the other ‘things’ going on right now, I simply do not have much time to give to decorating. And, don’t get me wrong, I still love it. But, I’m discovering that something very interesting, and frankly very surprising to me, is happening. The less time I’m spending on it, the less stress and energy and thought I’m putting into it, the more I’m loving the results. 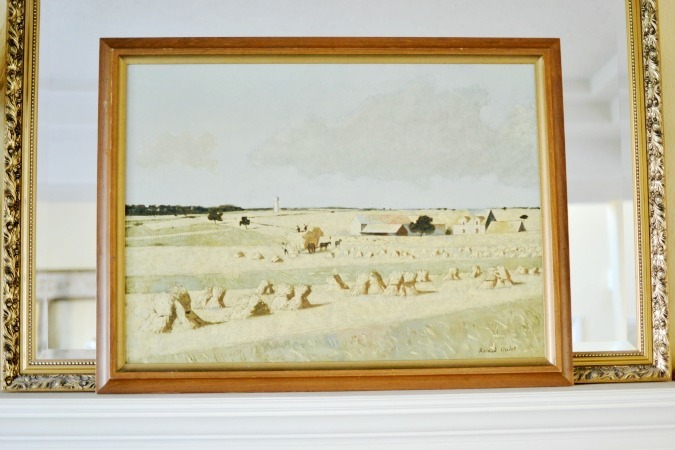 10 minutes was all it took to pop into one of my favorite consignment stores and discover this pastoral treasure. And less than five minutes was all it took to swap out the dried lavender in this urn for a bunch of wheat. With the addition of a little pumpkin it is perfect in all of it’s understated beauty. 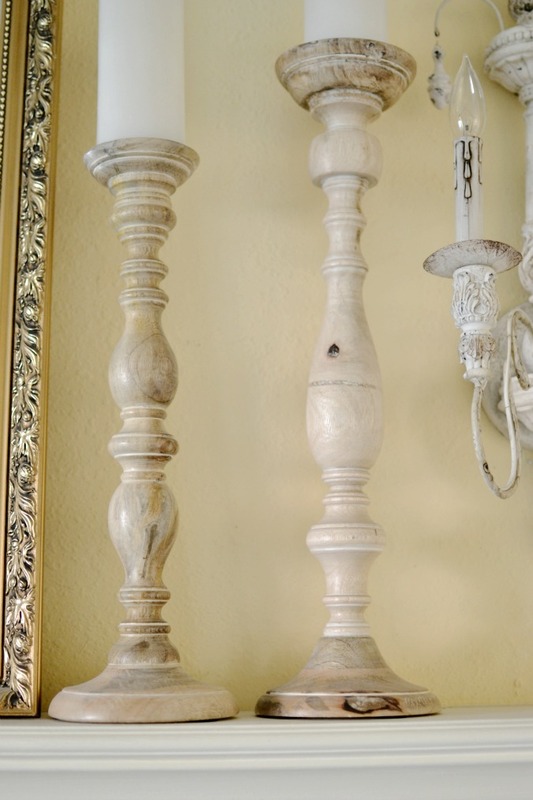 Simple wood candlesticks were moved from the family room mantel to this one. And I think it’s all just right. Just fall-ish enough. I’ve been thinking a lot lately about the parallels between your heart and your decorating. I’ve noticed that the more comfortable I have become with who I am, the more comfortable I’m becoming with my how I decorate. And I believe that my home is reflecting it. Our hearts, our homes, our stories, our style. For better or worse, they’re all intertwined. I’m starting to see those pearls slipping from the string more clearly. The simplicity, the subtle nuances, the way they catch the light. And I want my heart to see the simple moments, those pearls in life, more clearly. I want to appreciate them and remember that they are the real ‘stuff’ of this life. The wonderful and exciting moments are all well and good. But, they cannot compare to the sweet, simple moments. The times when you know for sure that you will not be able to remember every single detail of what happened in that moment, but you know that you will most definitely remember how you felt while you were experiencing it. Anne with an ‘e’ considered her simple strand of pearls given to her by her beloved Matthew more precious than any of the sparkling jewels she saw on the wealthy ladies at the ball. I think she knew that flash and glitter has it’s place, but that it cannot compare to the timeless beauty found in subtlety, in simplicity. I’m not planning on trading in my diamond ring anytime soon 😉 but when it comes to my home and my heart, I’m going to take my cues from Anne Shirley and find beauty in “simple little pleasures”. 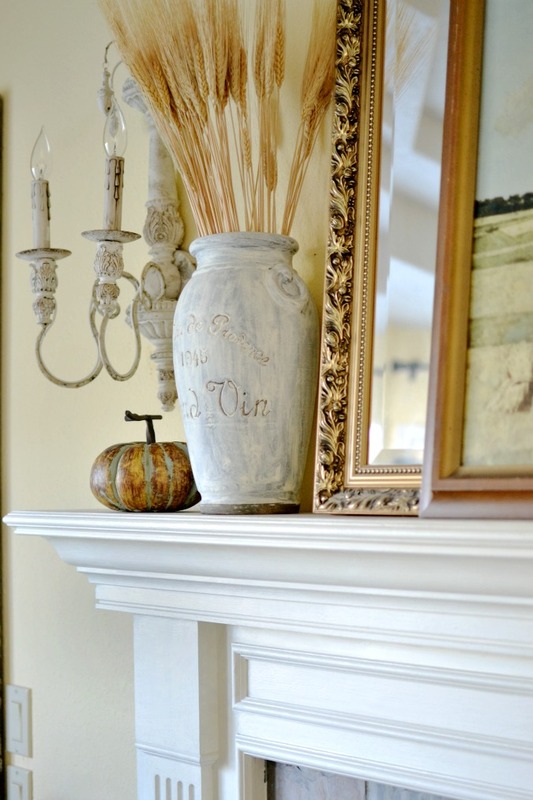 13 Comments on "Most Simple Fall Mantel Ever"
Love this – seems like I am getting into a less is more state of mind in most of my decorating, including my mantel. I think I have an old mirror I can dig out. I use a window frame a lot too as background. Lovely! Thank you for the pearls today! Pretty mantle. And I love the pearls…pleasures analogy. Your mantle is pretty, but your words are beautiful. I could feel your heart beat in them. I love Ann Shirley, Green Gables and the whole bit. I loved how she looked at life. That’s one thing that is wrong with our country, we need to get back to the simple things in life. Thank you so much for this post. you were right! have a great weekend. The beauty of ordinary days…. 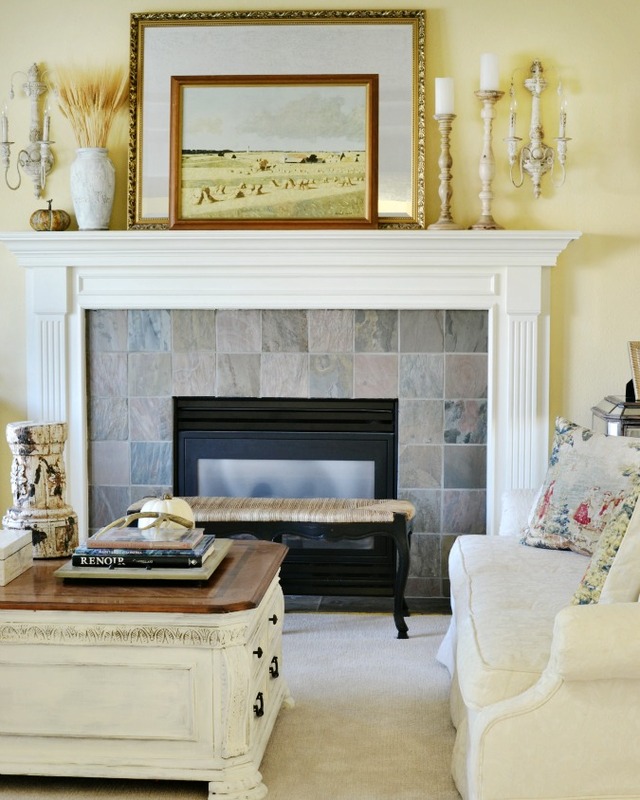 Beautiful mantle, too. I loved this – so very beautifully and eloquently written. It really caused me to stop and reflect on what is truly important! Thank you for sharing your thoughts with us. I love your mantel. It’s elegant and not over the top. Beautiful and great picture.